The mattress industry is facing new competition in the age of e-commerce: online mattress stores. Although reports differ on how online mattress retailers are stacking up against brick-and-mortar stores, there are business stories to be told. Here are a few ideas to help business journalists start exploring the market. Although the online segment makes up only a small part of the $15 billion mattress industry, its growth potential is huge. Fortune reported that online mattress sales surged nearly 10 percent in 2016, up from 5 percent in 2012. Many online mattress startups are making a considerable profit. According to Inc.com, Tuft & Needle and Casper each sell more than $1 million in mattresses per month. Inc.com reports sales at online mattress seller Saatva Co. reached $29 million in 2014. Austin Business Journal said the company expected revenues of $180 million in 2016. Among the story opportunities for business reporters is investigating what’s driving the business. 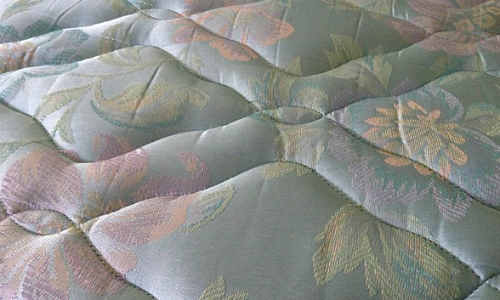 One example: Millennials aged 18 to 35 are replacing their mattresses more often. The findings were reached by the Better Sleep Council and published in their in-house publication, BedTime. Buyers’ research habits are also impacting the industry. A BedTimes report indicates that a growing majority of consumers, (60 percent in 2007, up from 51 percent in 2000), browse online before making their final purchase. In addition to dealing with consumers who trust their own research rather than relying on professional mattress sellers, traditional stores are competing with e-tailers in both price and performance. A recent Consumer Reports survey showed two online brands were ranked highest by customers, with one under $1,000 taking the top rating. Although some would assume traditional mattress retailers would outperform in customer service, online mattress businesses are putting up a tough fight. For example, one e-tailer, Lull, gives customers a 100-day trial period. Helix Sleep offers options for customizing your mattress. Keetsa, another e-commerce mattress brand, focuses on eco-friendly production with organic cotton and recycled paper packaging. Here is a list of what online mattress startups offer. In an effort to compensate for the inability to physically touch the merchandise, trial periods with free returns are the go-to for online retailers. But because mattresses cannot be resold, recycling those returned mattress has caused a headache for many online brands. Ron Lieber from The New York Times conducted an experiment and learned that while the online firms were all true to their word regarding free delivery and returns, the cost to the companies can be significant. New York firm 1-800-GOT-JUNK, a trash removal company, reported taking in about 9,000 mattresses in 2016 from direct-selling mattress retailers. The costs could potentially snowball if customers decide to make a hobby of sampling mattresses. •Visit traditional bedding stores and retailers such as Costco and Macy’s to investigate how online firms are impacting their mattress sales. Find out how they are competing with the e-tailers. •Talk to charitable organizations in your area to see whether they accept mattress donations, and if those donations have spiked in recent years.